22 Aug Filed under Uncategorized. Bookmark the permalink. Post a comment. Leave a Trackback (URL). 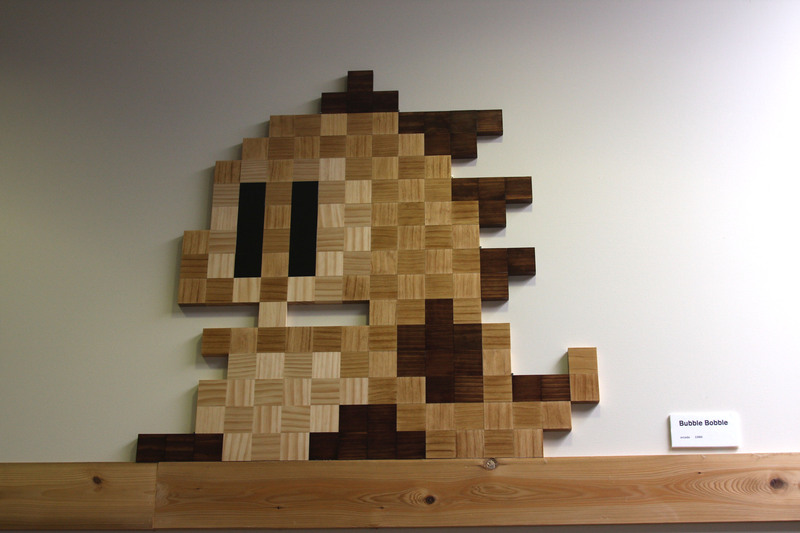 I must admit that I have never actually played Bubble Bobble. 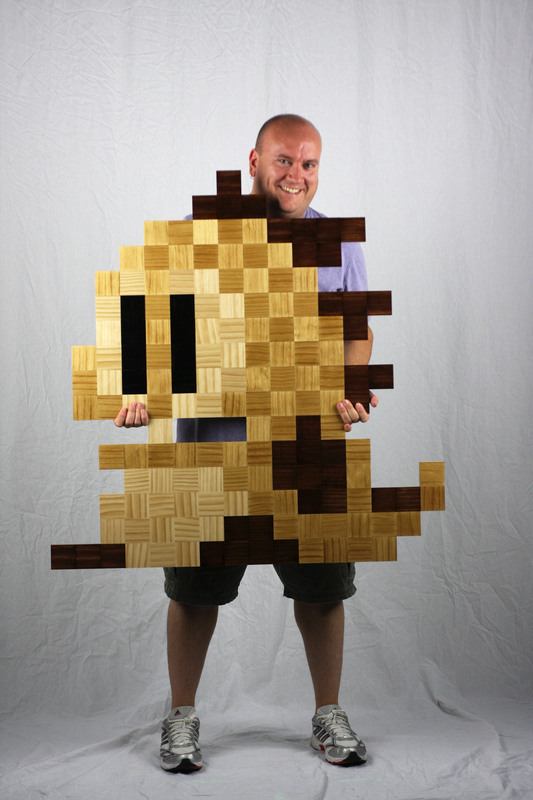 A friend at work suggested I make a Bubble Bobble sprite piece…and so I did. This is actually the second one that I made, the first was a smaller piece used as a test for some new stains I had found. After making some mistakes on the smaller piece I think I got a handle on the larger one. 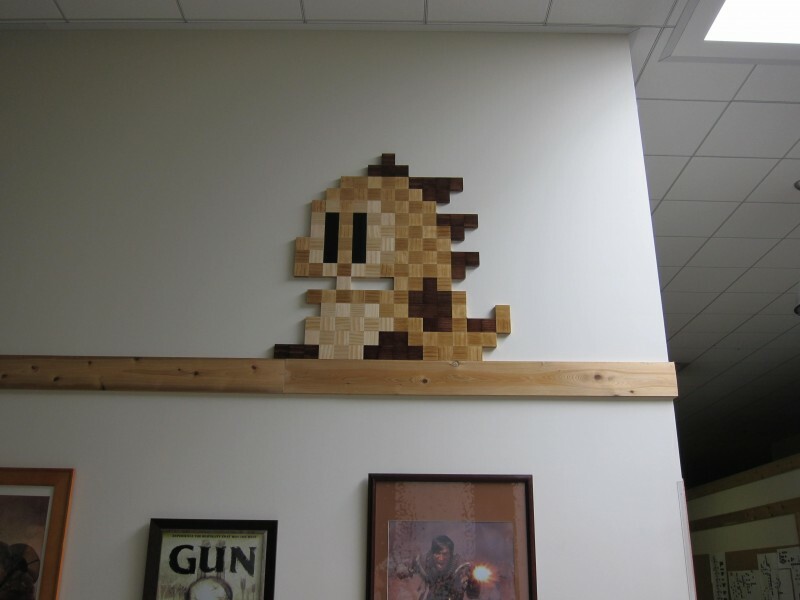 This one is made from 2.5 inch pixels and is mounted flush against the wall. I think I need to add some bubbles next to him!